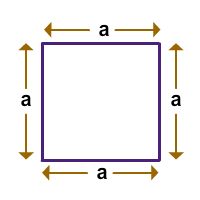 Area is the size of the surface of the object or the total amount of space that the object covers. You are buying a tablecloth for your table. 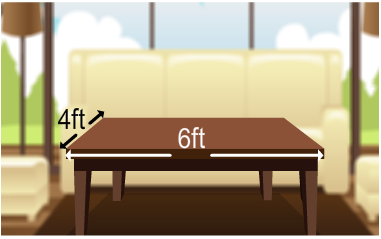 The length and the width of the table is 6 ft and 4 ft respectively. How much cloth is required to cover the table completely? 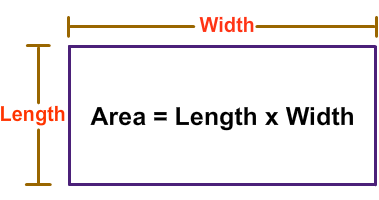 The length of the table is 6 feet and the width is 4 feet. So, 24 square feet of table cloth is needed to cover the surface of the table. Your parents are getting their driveway paved. You need to measure the driveway for them to find out how much pavement they will need to cover the whole driveway. How will you do this? 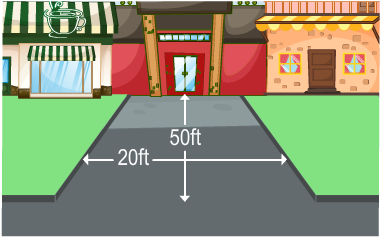 The length of the driveway paved is 50 feet and the width is 20 feet.